Showing results for tags 'ampsandsound'. Hi folks, Though I consider myself still a newbie to this hobby, just wanted to share my satisfying experience from the upgrade from Heresy III to Forte III, as well as Mogwai amp from Ampsandsound. Long story short, I'm very very happy with the change from Heresy to Forte. And I believe the Mogwai amp really opens up the Heritage speakers. I'm listening to more music, and happier with the hobby now. They're not inexpensive, not as convenient as more modern equipment but I believe, despite my lack of many experiences with different gears, the combination can be one final destination of many possible ones as a modest music lover/audiophile can reach in terms of $ invested and hi-fi experience. I hope this post can be helpful for someone who's considering an Ampsandsound amp or a Klipsch Heritage pair especially you may have a hard time to actually audition Klipsch Heritage speakers.. Also, welcoming any question or advice. I have used a pair of Heresy III for about four years. It was recommended by one of my experienced audiophile friends given my taste (or bias) was developed as and geared toward a concert (classical and rock festivals) and jazz/blues club-goer, and my need for very sturdy speakers safe to my young kids (and vice versa). Upon changing from my beloved Dali Mentor Menuet (great mini-monitor speakers), I got to realize the livelier but less "modern and polished" sound; I cherished the big size woofer. I used the Heresy III with a pretty and gentle sounding class AB JFET-MOSFET solid state (Aura Vita) or a very quite NAD DirectDigital amp. Maybe due to my choice (or limitation) of the amp, yes, sometimes, it sounded a bit harsh, in-your-face; so I dreamed trying a tube amp or a different speaker. I do also think the Heresy sounded as if it has less "substance/mass" than one can desire, which may sound exciting and refreshing or just plain light-weighted; I also longed for a tube amp and lower extension of bass for this matter. So, finally, I pulled a trigger for the Mogwai amp with the pairs of 6L6GC and KT88. It's a ~3 watt SET amp by Ampsaoundsound. You can either plug speakers or headphones, and it has one RCA input and a volume pot. A big difference could be noticed right away. As I wished, Heresy-Mogwai combo sounded fuller, more 3 dimensional and warmer/smoother. It may not "accurately" sound (I don't know and I didn't measure) but to me and my family, the audible difference was just plain positive. With Mogwai feeding into Heresy III, I can't say the horn loaded high and mid are naturally harsher than other types of transducers. So, I can have the benefits of big woofer and horns without the coms people say/hear of. I believe the description on Ampsandsound is true to my experience. Mogwai is dead silent with the Heresy III; NAD's digital amp has no hiss at all and this Ampsandsound amp is very close to it (a volume 65~70% to max turned still doesn't generate a hiss). And once warmed up (just a couple of minutes), no transformer noise at all. The difference between two tubes is not what I can describe with confidence; I feel like KT88 is a more balanced choice though 6L6GC does have its own charm (I listen to one set a week now). The price tag looked high for the wattage, but I had a hard time to find a new, low power SET amp that I can purchase new, roll the tubes and have great customer services other than the Ampsandsound one. I might have gone with renowned branded 20~40W push pull amps but they were not that cheap either and I wanted to try one extreme with the benefits of the Heresy III's high sensitivity. Then, I moved my residence to one with the higher ceiling and longer listening space from speakers to couch. Heresy sounded difficult to fill the vertical space to the ceiling. And the longer space again called for a horn loaded speakers. Then I found out the Forte III was launching. I was hesitant because, yes, it's not inexpensive and I already own a Klipsch Heritage pair. Why not going for Magnepan, B&W, KEF or British monitors just to see what's out there different? But with the super lovely 3-watt amp new in place, I chose the Forte III, distressed oak color (color-wise, distressed oak looks like much toned-down espresso color). Again, immediately after installation, I had a big smile. Much happier than when I changed from Dali Menuet to Heresy III maybe because back then it was more like a lateral move, different rather than better. This time, I believe, to me and my space, Forte III is the better choice than Heresy III all around. I can hear the harmonics more and better, music sounds full and balanced over the bandwidth but not losing all the pros of Heresy III - dynamic, energetic and lively sound, and the bass of Forte III does go a long way in quality and quantity. I listen to all kinds of classical, acoustic blues and jazz and quite a bit of pop. All sound great. One pro of Heresy III over Forte III is the placement. As everyone knows, you can put Heresy III into the corner almost attached to the walls. With Forte III's passive radiators, you need about 10-15 inches of breathing room side and back. Also, often times, Heresy III's look goes well with low profile cabinet, couch and other interior deco. The other one is that Heresy III still has a lot of raw energy of music even compared to Forte III. I.e. if you listen to Black Sabbath at a pretty satisfying volume or hard bop or electric blues, you may even prefer Heresy III to Forte III or just don't need Forte III. I think it's one of the magic Heresy III keeps for a long time. Both Heresy and Forte have big woofers. Hz-wise, Heresy doesn't go deep, and Forte is modest for the size. Still, the feeling of big size woofer sound is very attractive and I think it's pretty rare to have that experience these days at a reasonable price. I almost feel that size of woofer and its character mitigate some cons of the Heritage speaker sound (if any). My experience with different gears is pretty limited. Still, I had a chance to listen to pretty high-end systems: DeVore Orangutans + full Shindo tube gears, Harbeth + top line Line Magnetic, Mark Levinson feeding KEF Ref and JBL synthesis speakers, thanks to my audiophile friends. Given the price difference and the quality of the sound I have, I don't envy those systems at all. I believe both Forte III and Heresy III do have own (Klipsch Heritage) sound characters that just make themselves sound different from other cone speakers, even making us hard to decide which is better. I don't think I'll change my system until I have $15K+ budget for amp and speakers. Some say the Heritage ones can image well. Yes, they do imaging - at last, they're stereo loudspeakers. But, I don't think they can as well as Harbeth or KEF LS50; even with my Dali, I can tell the difference easily. Regarding staging, my experience with Heresy III and Forte III tells me, these speakers put you on the stage, in the same space as the musicians. Other well made speakers literally depict a gorgeous stage in front of you, pretty deep and high (as I once experienced with the KEF reference or the Vivid Giya). So, it's very different experience between you being in the 3D space with the musicians and you visualizing the 3D space (whether studio or live stage). Others say Heresy is a rock speaker. Well, you can listen to any kind of music with great satisfaction through Heresy. To me, with Forte, even more satisfaction. Well made ribbon twitter or fancy mid range can do better than Klipsch Heritage but low power SET amp matching and big woofers can make the difference, too. My points are, 1. As everyone says, go for a low powered, full and warm sounding tube amp with Klipsch Heritage line; Ampandsound Mogwai is a terrific choice (I believe the other Ampsandsound amps should sound great), as great as making me buy another pair of Klipsch Heritage speakers. And I had a very hard time to find a choice less expensive with the comparable quality/service than them (since I didn't look for a vintage or used gear). 2. Unless you need to put your Heritage speakers into to corner and have the absolute cap in the budget, Forte III should be better than Heresy III in general. I think the price difference is justified, some may not. Depending on your music and volume choice, the price and spec difference might not be appreciated/justified. 3. Klipsch Heritage speakers are (and should be) different from a lot of cone-based speakers. But you don't have to much worry about the cons of Klipsch Heritage speakers 'people say.' They are well made, balanced speakers worth the price tag with a character because the form factor is rare these days. But better to focus on the pros and which experience you'd like to pull from your speakers. To my taste, Klipsch Heritage brings a lot of unique strengths I love to have without much downside. Even at some audio shops, when I said I use Heresy III, they looked at me one more time like 'why? are you sure?' kind of look. But well, my gears are fine enough to me, and I'm sure some of the "pros" didn't even experience the new line of Heritage speakers. 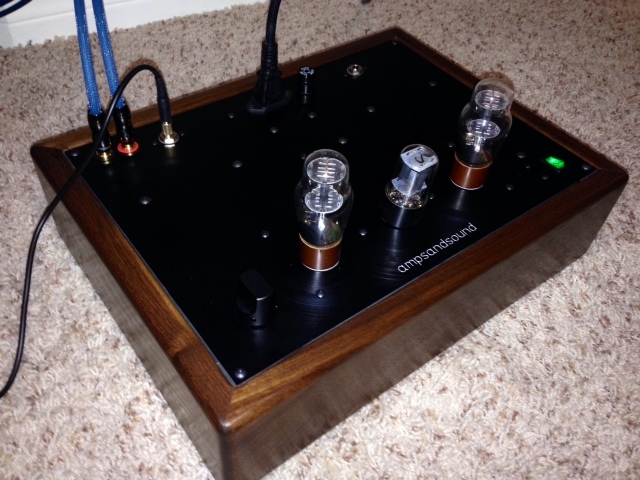 From the album: ampsandsound headphone amp. 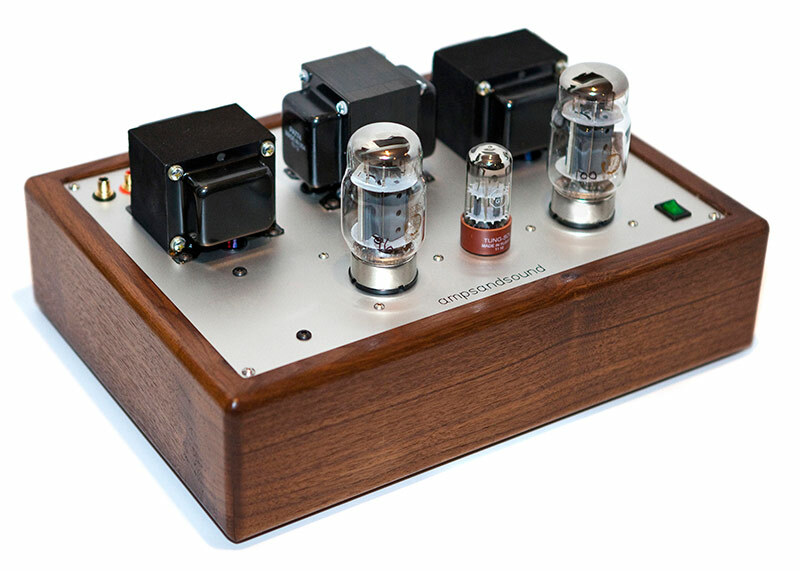 Big Ben SE tube amp.